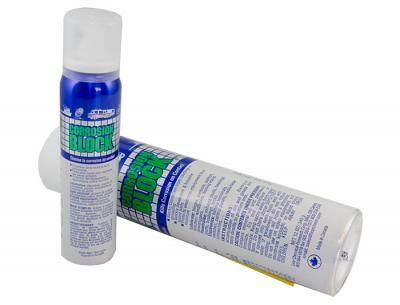 This makes this product essential for day-to-day routine maintenance and as long-term asset protection for your car. It is a VERY sophisticated water displacement product designed as corrosion prevention and inhibiting compound with the added advantage that it will stop existing corrosion, prevent new forming and is slow to deteriorate (it has a 12 to 18 month active life). It is also a very efficient penetrant, without loosening structural attachments and an excellent lubricant, without having any wax, silicon or Teflon additives (which actually seal in moisture thereby aggravating and perpetuating the corrosion process). It is ‘pro-active’, neither passive nor waxy, is compatible with most plastics and rubbers and is EXTREMELY ECONOMICAL IN USE. It will, with regular applications, make maintenance easier and save you money, make car parts easier to clean, look better, help prevent surface/structural/electrical corrosion related failure thereby increasing reliability and it will increase the car’s value. It will significantly reduce your replacement, repair and labour expenses. That’s what it will actually do!